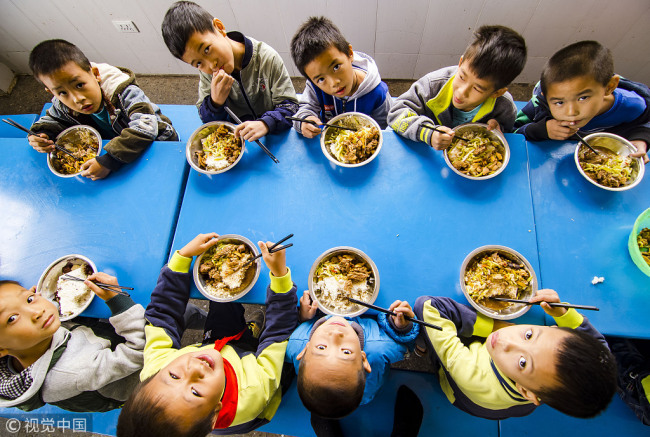 BEIJING - China has created a special committee to implement the country's national nutrition plan, according to the National Health Commission (NHC). Jointly established by NHC and 17 other government departments to coordinate and advance nutrition and health related work, the national nutrition and health committee held its inaugural meeting on Feb. 28 in Beijing, said a source of the NHC. During the meeting, the committee adopted the regulation on its work and the main tasks for 2019 on the national nutrition plan. Among the key jobs are improving food nutrition and health standards that build upon food safety, and establishing subcommittees at local levels to organize nutrition education and training, to conduct pilot programs and spread scientific knowledge in this regard. Innovation will also be encouraged in the efforts, while nutrition intervention will be introduced in the campaign to battle poverty. The national nutrition plan (2017-2030) was released by the General Office of the State Council in July 2017, with the goal of raising awareness of nutrition among the Chinese people, reducing obesity and anemia among students.